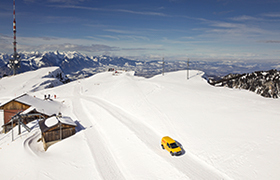 Discover Switzerland with DHL Express! Switzerland shares borders with France, Germany, Austria, Liechtenstein and Italy. When looking for business opportunities in Switzerland, you have to keep the different languages in mind. The country has four official languages, namely: German, French, Italian and Romansh. More than half the population speaks German. French comes in second place. And less than 10% speak Italian. Just a small minority in the east speaks Romansh. The capital Bern is located in the German speaking part. The Swiss landscape is characterised by the Alps and its charming cities. 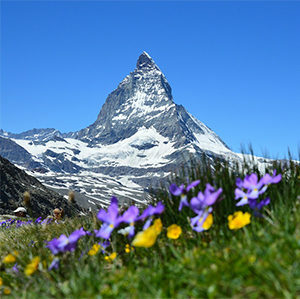 Therefore, Switzerland attracts many tourists in summer and winter alike. The tourist sector is especially important for the mountainous areas. Switzerland is one of the richest countries worldwide due to its strong financial sector, among other factors. The Swiss industry focuses mainly on chemicals and machinery. Although Switzerland is not part of the EU, the country joined the European Economic Area and the Schengen Area. This step helped to ease business relationships with its neighbouring European countries. DHL Express can help you to develop your business within Switzerland. Due to our strong local network, we safely deliver your important packages and documents to any destination. Simply ship to cities like Zurich, Geneva or Bern. Go ahead, we even cover the most remote areas!